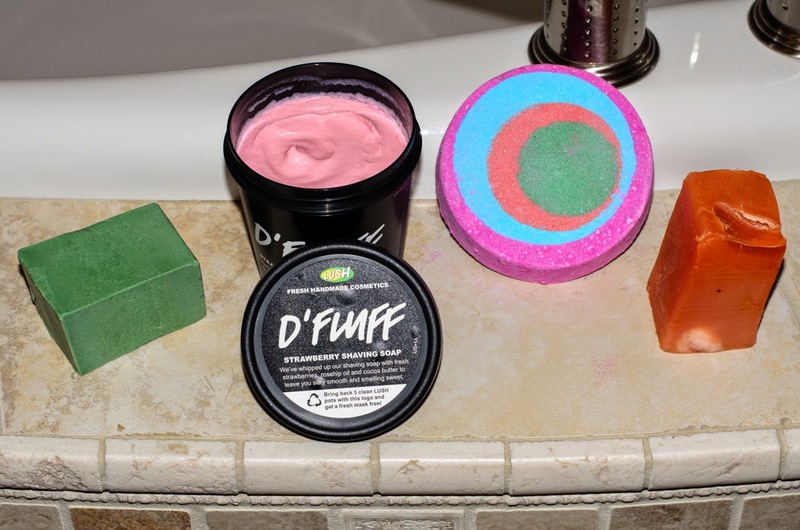 Bath time or shower time in the fall or autumn is always much more appreciated. 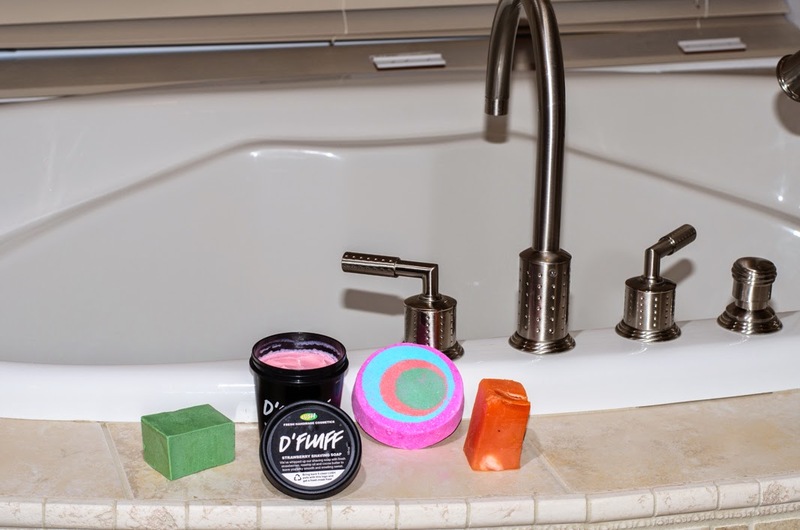 We tend to stay longer and enjoy the time but why not add some Lush products to make the time well spent. A) Parsley Porridge soap : This herbal soap is perfect for this fall temperature, leaves the skin smelling so good, smooth and clean. B) D'Fluff shaving soap : A strawberry and cocoa shaving cream that leaves your skin so smooth and smelling like a fresh batch of berries. C) Granny Takes a dip bath balm : I laughed so hard when I saw the name of this bath balm, so funny ;p Once in a while, it's nice to relax and to spend some alone time and prepare a bath. D) Mangnificient soap : A mango and mandarin soap that invades your washroom when you take a shower.